A change in career direction from being a dairy farm manager to agriculture consultancy led Tim Sneddon to apply for Ravensdown’s Development Programme. He is now among the 12 candidates to begin six-month programme. 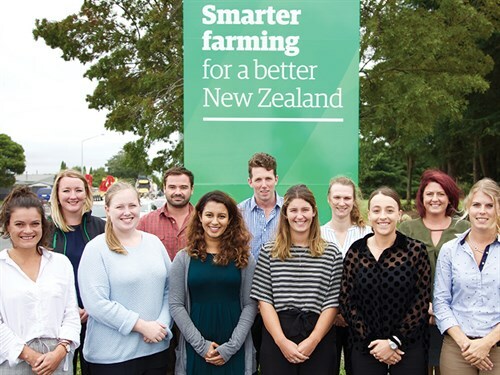 Tim, a Bachelor in Agriculture and Soil Science graduate, has been working on his family dairy farms in Southland, where he has spent several seasons gaining farm knowledge and progressing into a farm management role. "I’m particularly proud of increasing production on our farm by 30% and decreasing costs during some tough seasons," Tim says. "However, I’ve always been keen to move into consultancy. I think my background experience as a farmer and knowledge of soil science will give me a well-rounded approach to helping farmers as a consultant." Tim says he was encouraged to apply to the Ravensdown programme because of its environmental consultancy and innovations. Gordon McCormick, training manager and mentor at Ravensdown, is looking forward to the largest intake of new participants since the inception of the programme. "The Ravensdown Development Programme is a great way to start a career in agriculture and a great way to gain exposure to different parts of the business. The people within the agri sector make it what it is, which is why we invest in teaching the participants the practical and theoretical insights of the business." During the six-month programme, the graduates will learn about all aspects of the Ravensdown business. This includes time spent in the field, working within the supply chain and environmental teams, and completing numerous internal and external short university courses, including the first stage of their Intermediate Sustainable Nutrient Management (ISNM) qualification.